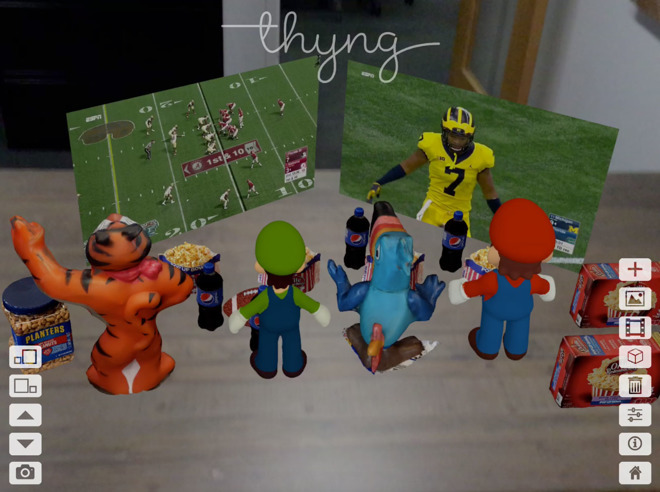 Augmented reality developer team Thyng has released version 4.0 of its creation software, allowing users to cover any surface on an iPhone or iPad's screen with their own video and video content. No development tools or content import is required to use the app. 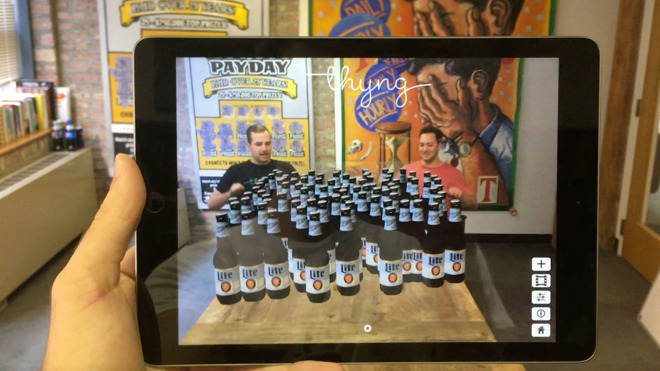 Content to be applied in Augmented Reality is selected from Photo albums or stored videos. Content examples suggested by Thyng are family photos on the coffee table in conjunction with some "3D snacks." Other possibilities cited by the company include virtual TV sets that float in the air and play family videos. Thyng 4.0 supports surface-based display such as the family photo example, and target-based augmented reality. 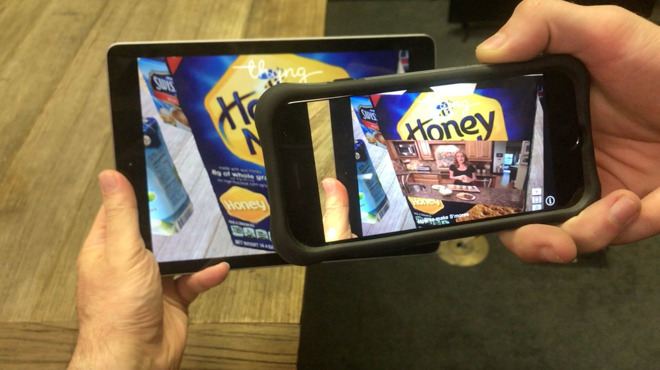 Target-based AR examples are a recipe playing on a product box after scanning the packaging, or a 3D version of the product mascot popping up on the package. The Thyng update, version 4.0 is available on the iOS App store, requires iOS 11 or later, and starts at 46.7MB of device storage space. An Android version implementing ARCore is not yet available, and in progress.